Welcome to the Mosaics of New Brighton. Gorgeous hardwood flooring & 14’ ceilings welcome you in. The living room is flooded with the east facing natural light while the kitchen and dining room take in the west facing sun in the evening. Black appliances, espresso cabinetry, raised eating bar, pantry, & desk area complete the kitchen. Upstairs you will find two master suites, both with walk in closets & 4 pc en suites. 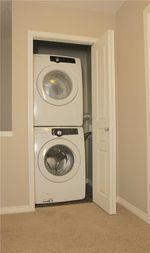 Stackable washer/dryer are conveniently located on the upper level. In the basement you'll find lots of room for storage and a double car garage. This beautiful east facing townhome has a spacious porch with beautiful trees & gas line for optional BBQ or heater. Perfectly situated close to visitor parking & additional off road parking. 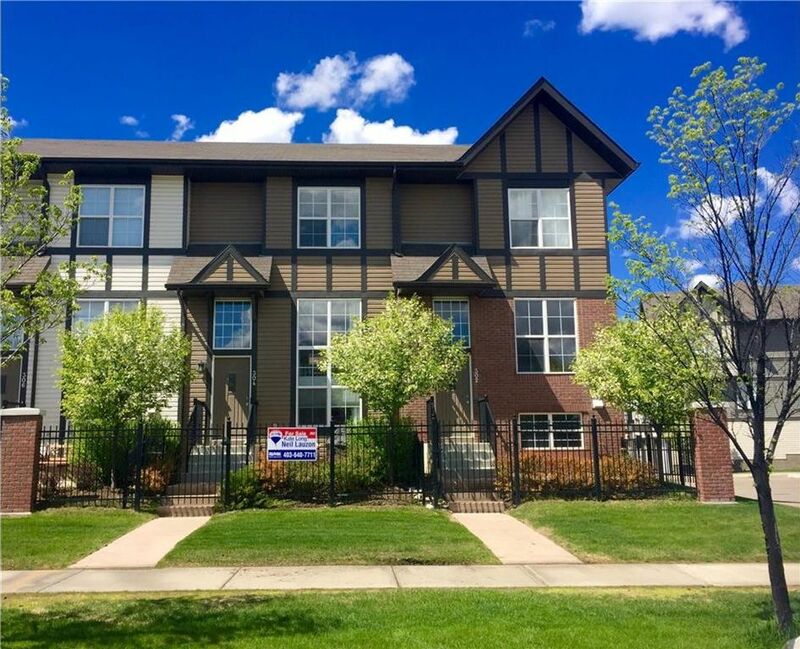 Walking distance to parks, schools, transit and shopping. The community offers a 3+ acre park with a water/splash feature, tennis courts, hockey rink & community centre.